The results of all these arches from 2A have been really better than last years with a few exceptions. Over all they have performed well and grasped the setting out geometry. Remembering it will be the challenge. The eye for detail is getting better all the time and that combined with self and peer assessment should increase their skills as the year goes by. 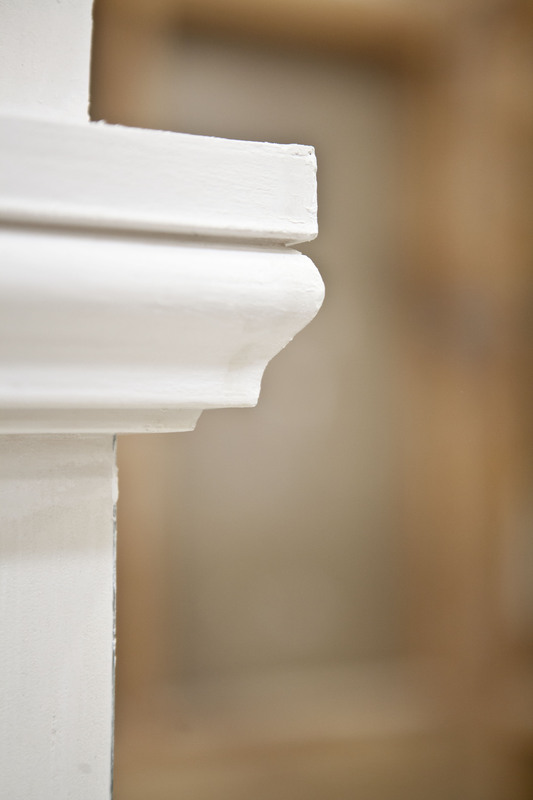 Lining up short lengths of Capital and Collar Moulding is not as easy as it looks. The shorter the length the more critical the levelling can become. One or two degrees out will look like a mile on the otherside of the opening. This project has 16 mitres and all must be as close to perfect as they can be, as the light hits them they must reveal a perfectly straight line along the mitre. 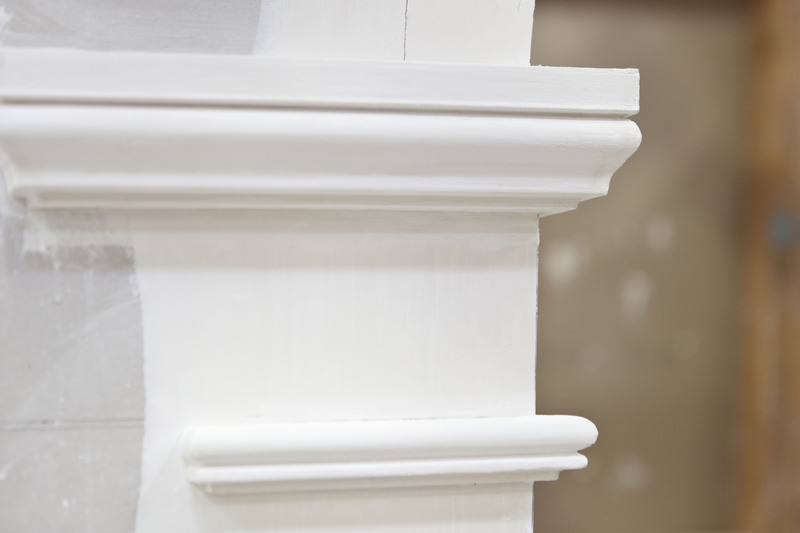 These are hand run mouldings that the students have made from scratch. 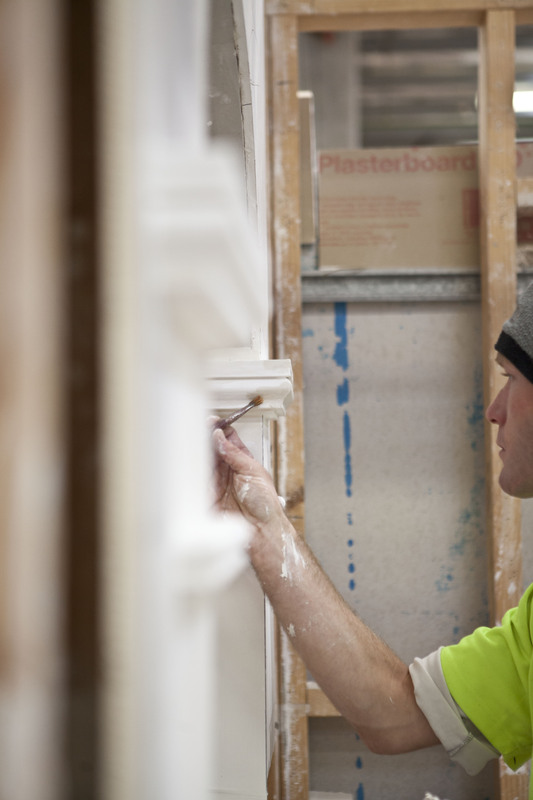 This entry was posted in tafeSA, Training, Wall & Ceiling Lining and tagged 2012, apprentices, assessment, gilles plains, Picture of Competence, students, tafeSA, training, Wall and ceiling lining. Bookmark the permalink.